Considered a revolutionary hero by all, Washington was also a man of deep personal integrity, honor, and patriotism. 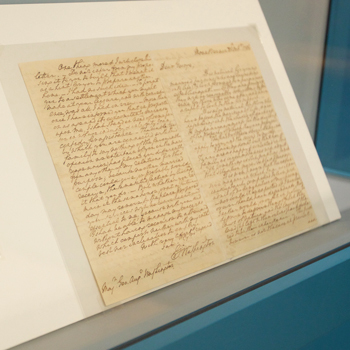 This exhibition explores the national significance of the legacy of George Washington. Culled from a private collection and key loans from other museums, A Portrait of George Washington: The Man, The Soldier, and The President will tell the story of the multi-faceted nature of George Washington through important personal effects, art, and historic objects. 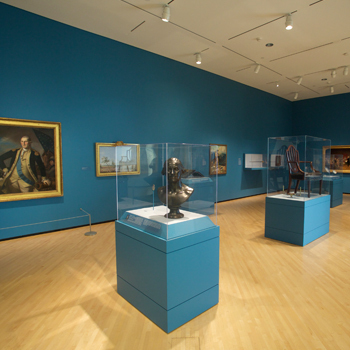 Hallmark works of the exhibition include an important painting of George Washington by Charles Willson Peale painted in 1780-82, flanked by two exquisite battle scenes depicting both the siege and surrender of Yorktown to George Washington painted by French artist Louise Nicholas Van Blarenberghe. 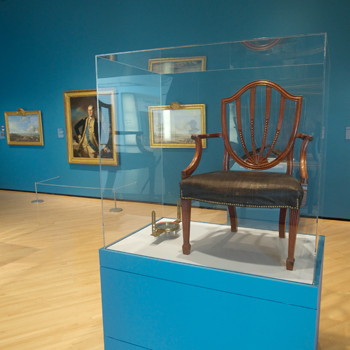 A Portrait of George Washington: the Man, the Soldier and the President presents a unique opportunity for the Taubman Museum of Art’s visitors to see important objects that belonged to or depicted George Washington while unveiling his heroic nature and legacy that shaped our country’s values today. This national exhibition provides a unique opportunity to engage the region in the history of our nation’s remembrance of George Washington while coinciding with the 226th anniversary of his Presidential inauguration and several national anniversaries of the Revolutionary War. 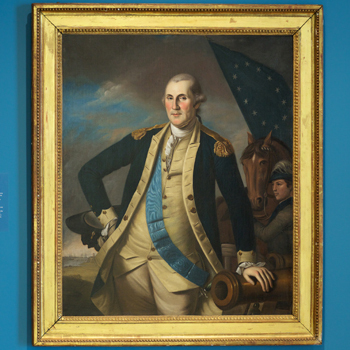 A Portrait of George Washington: The Man, The Soldier, and The President is curated by Amy G. Moorefield, Deputy Director of Exhibitions and Collections of the Taubman Museum of Art. This exhibition is made possible by generous loans from George Washington’s Mount Vernon, the Smithsonian’s National Museum of American History, the Virginia Museum of Fine Arts, Virginia Tech Foundation Inc, and a private collection. Exhibition and educational support has been provided in part by the City of Roanoke through its Arts Commission, Arkay Packaging, and Member One Federal Credit Union. The exhibition will be on display February 6 - July 31, 2016 in the Bank of America Foundation/Dominion Resources Gallery.